1. How do I place an order from outside of America? 2. What information is needed when placing an offline order? 3. How do I request a quote for a bulk quantity of product? To receive a quote, please contact us at reagenkits@gmail.com. Please indicate the quantity of the product you want to purchase in your email. The quote will be sent to you within one business day. We only offer discount to those who make bulk purchases. For bulk quotation, please contact us by email: reagenkits@gmail.com. Please indicate the approximate quantity of the product you want to purchase in your email. 5. What is a "Purchase Order Number"? A purchase order number is generated by the buying institution. It indicates that the requester is authorized to purchase the products. 6. How do I search for products? To search for a product of interest, simply type the product name or Catalog number in the search box on the top of your screen. If you cannot find the product you need, please contact us by email: reagenkits@gmail.com. We can search our database of products that are still under development. 7. Can I track a shipped order? The tracking number will be sent to you via email when it is available. You can check the delivery status . For orders, the acceptable payment methods include PayPal, wire transfer and check. For details, please see http://www.reagen.us. 9. Should I prepay for the orders? If it is your first order from our company, we prefer a full up-front payment. Client account number will be set up for new customers. Our regular clients are allowed to pay for it before we shipped it for you. 10. What is the shipping condition of the products? ELISA kits, and antibodies are all shipped at ambient temperature. whereas antibodies are provided as liquid. They are shipped out with ice unless customers require otherwise. 11. Are antibodies from REAGEN stable for delivery at RT? We have tested the stability and the bioactivity of antibodies remained at -20℃, room temperature and 37℃ for 7 days. 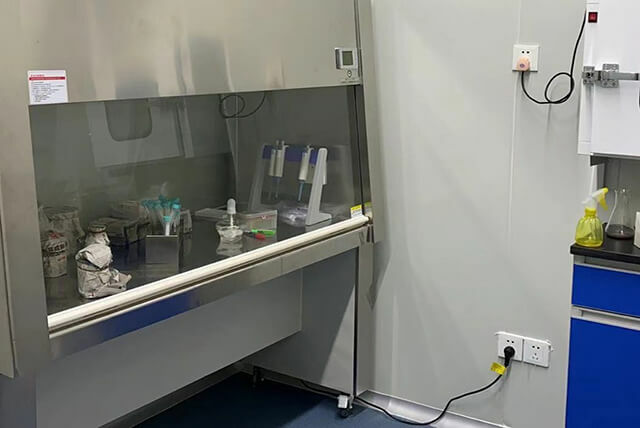 The results indicated that the stability and the bioactivity of the antibodies remained at room temperature and 37℃ are the same as those remained at -20℃. In additional, we have never received any complaints about the bioactivity of our products from our regular customers. 12. How do l cancel an order? To cancel an order, please contact us via reagenkits@gmail.com or call 856-727-0250. For orders that were already shipped, The customer is responsible for paying for the return shipping cost. If an error by REAGEN results in shipment of an incorrect order, REAGEN will either ship a replacement order at no charge or credit your account with the full purchase price. If an error by a customer results in the shipment of an incorrect order and is reported to REAGEN. within ten (10) days, you may obtain a Return Authorization. The customer is responsible for paying for the return shipping cost. REAGEN will not refund, replace or accept returns of temperature sensitive goods in either case where there is Purchaser order error or incorrect storage of goods upon receipt and/or delivery to the Purchaser. We will make every effort to process your refund quickly. You will be notified of your refund by email. 14. What if I do not receive my order within your estimated delivery time? Delays may occur due to conditions beyond our control, which may include situations rising from strikes, fire, arson, riots, earthquake, floods etc. You can check the status of your shipment with the tracking number emailed to you when your package is shipped. If you did not receive the tracking number, please contact us via reagenkits@gmail.com with your order number or call us at 856-727-0250 during office hours. If your package is lost before being delivered, we will ship you a replacement at no charge or credit your account with the full purchase price. 15. What if I receive an item that is damaged? If you find the item has been damaged during transportation, please contact us immediately within 48 hours upon receiving the product via email reagenkits@gmail.com or call us at 856-727-0250 during office hours. 16. Why are protectants added to protein solutions before lyophilization? What protectants do you add to your products? Protectants (stabilizers) are added to protect proteins during lyophilization and/or long-term storage. Proteins are subjected to various stresses generated by lyophilization which may cause loss of activity, aggregation, or denaturation. Protectants can alleviate the stresses by several mechanisms including formation of an amorphous glassy state, replacing water, hydrogen bonding to proteins, physical dilution and separation of protein molecules, etc. Common protectants/stabilizers include sugars, polyols, polymers, surfactants, as well as some proteins and amino acids. We use trehalose and mannitol (normally 8% w/v) as protectants for lyophilization. Trehalose is a non-reducing disaccharide, well-known for its ability to stabilize biomolecules and microorganisms during prolonged period of desiccation. Mannitol is also commonly used as a stabilizer as well as a bulking agent in the process of lyophilization. It was reported to reduce aggregation for some proteins during lyophilization. 17. How to reconstitute the lyophilized powder? Should I use sterile water, PBS or other buffer? We recommend using sterile water for reconstitution. Add the recommended volume of sterile water of to the vial, and gently shake it to solubilize the protein completely. Do not shake violently. PBS or other buffer can also be used as reconstitution agent as the salts in PBS can be omitted when the concentration and reconstitution volume is low. If possible, we suggest you compare the results of different reconstitution agents. 18. Why are some proteins fused to tags? The initial use of protein tags is for protein purification purpose. 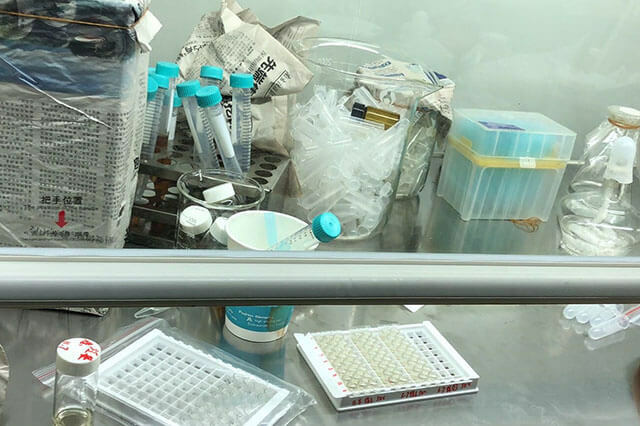 In addition, tags are also used for protein detection in several applications, such as western blot and ELISA, when the specific antibodies are not available. Furthermore, Fc tag stabilizes molecules, which may increase the half-life of the linked products. Since the Fc fragment tends to dimerize, it helps the linked protein, particularly receptors, to form biologically active dimers. 19. Do protein tags affect protein activity? It is different from case to case. For some applications, small tags, such as His-tag and FLAG-tag, may not affect protein activity and do not need to be removed. For example, there are more than 100 structures of His-tagged proteins in the Protein Data Bank. This indicates that the small His-tag often do not interfere with correct protein folding. Additionally, tested activity results are listed on our protein web pages, if you have concerns about tags interfering with protein activity. If there is no activity data online and activity is crucial to your experiments, please feel free to contact us ( reagenkits@gmail.com) for latest information. For some recombinant proteins from SBI, fusion tags are removable by proteases. Please contact us for details. 20. How should I store the products? Lyophilized proteins are stable for at least twelve months from date of receipt when stored at -20℃ to -70℃. Upon reconstitution, the proteins can be stored at 2℃ - 8℃ for at least 1 month without detectable loss of activity. Reconstituted protein can also be aliquoted and stored frozen at -20℃ to -70℃in a manual defrost freezer for six months without detectable loss of activity. Avoid repeated freeze-thaw cycles. 21.How do you determine the quantity of your proteins and antibodies? Normally we determine the concentration of proteins and antibodies by measuring their UV absorbance. The concentration of proteins and antibodies is calculated by their extinction coefficients. We also use BCA, SDS-PAGE, HPLC and other methods to quantify the proteins and antibodies. 22. Why is the quantification of the protein generated by my assay different from the one on the label? Different assays generate different quantification result. Sometimes the discrepancy can be significant if you conduct a different assay. It is also possible that the protein forms aggregations during storage which causes loss after reconstitution and centrifugation. We run quality control tests for each batch of proteins and antibodies. However, it is still inevitable that a few vials are not the same with the rest of the same batch. This happens very rare and can be minimized by our effort on Quality Control. 23. Who should I report to if I find the product quantity is incorrect? How will you deal with this kind of complaints? You can call us at 856-727-0250 or send us an email to reagenkits@gmail.com. We will repeat your quantification assay on the same batch of product that was sent to you. If there is a discrepancy between the two assays, we will perform more types of assays to determine the quantity. If the quantity is actually incorrect, we will make up the shortage for free and give you credits for your future orders. 24. What materials are provided in your ELISA Kit? Currently our ELISA kits contain the Capture Antibody, the Detection antibody, and the Standard (recombinant protein). Other buffer solutions and Substrate stock solutions required for the development of sandwich ELISAs need to be prepared by customers. 25. How many samples could be detected with each ELISA Kit? Each kit contains sufficient materials to run ELISA assays on 96-well plates (96T). If you have any other question, please see the product's Certificate of Analysis or contact us directly. 26. How should I store REAGEN Antibodies? Specific storage recommendations are listed on the Certificate of Analysis. We recommend that all antibodies be aliquoted into smaller aliquotes and stored at -20° C or below. Avoid multiple freeze-thaw cycles as this will affect antibody activity. We cannot guarantee how the performance of the antibodies if they are not stored as stated on the datasheet. 27. What is the shelf life of REAGEN antibodies? Unless otherwise indicated in the data sheet, most of our antibodies can be stored at 2℃-8℃ for one month without detectable loss of activity and are stable for twelve months from date of receipt when stored at -20℃ to-70℃. Repeated freezing and thawing should be avoided. 28. 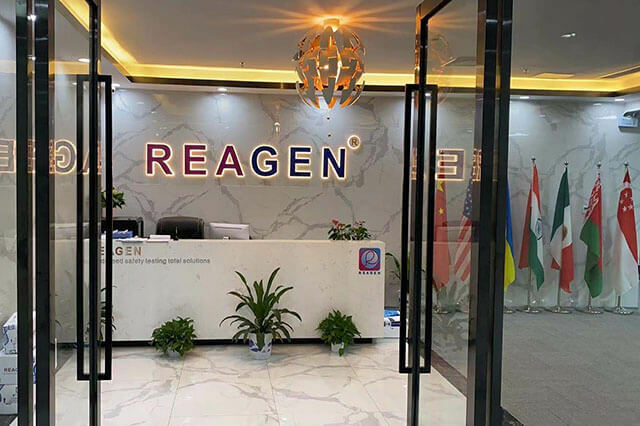 How are REAGEN Antibodies supplied? All REAGEN antibodies are supplied as liquid. It remains stable during the delivery process at ambient temperature. We have tested every antibody's stability and activity following a period of more than 7 days at -20°C, room temperature, or 37°C. Antibodies under all three conditions turned out to be equally active and stable. 29. Which dilutions of the antibody should I use in my experiment?